Welcome to season five of Audio Stage, a very special season for us. For this season, we collaborate with Footscray Community Arts Centre to bring you a series of conversations by black women about belonging and self. We have wanted to do this for a long time. We wanted to talk about race. We wanted to talk about Australia’s racism. We wanted to talk about dispossession, about family and intergenerational trauma, about microaggressions, about what it means to be an artist when your voice, the fact of your voice, is in and of itself a danger to the status quo. We also knew that we wanted to listen, not talk. So here we are. In the next five episodes, we are listening in on some huge, important conversations about what it means to belong in a society that perhaps never wanted us in the first place. We record from a country in which so many of us are constantly reminded that we do not belong here. 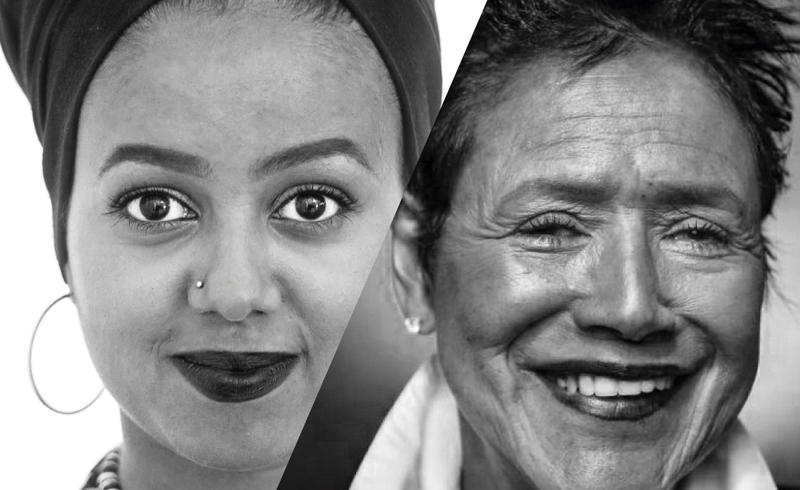 In our first episode, we are bringing you the conversation between Melbourne spoken word artist and cultural producer Alia Gabres, and former Black Panther Party member Elaine Brown, now an author and activist. This precious, beautiful conversation was a part of the program at Women of the World Festival Melbourne at FCAC in March 2017, and we recorded it there. being a mother vs being a revolutionary, how words are beautiful but actions are supreme, how every woman needs her own football team, wanting to be white, the mirroring moment, you can’t be a vegan in the ‘hood, clicktivism, white supremacy, parenting in the Black Panther Party, not knowing how to braid your daughter’s hair, and how revolutionary women don’t cook. You can find out more about Elaine on her website, or follow her on Twitter. Alia Gabres tweets here, while you can read more about her work here or watch her spoken word poetry on YouTube.